Your guests will be impressed by our unique taste combinations and the atmosphere is second to none. Three stories of Texas limestone and a rooftop waterfall welcome your guests as the aroma of fresh made tortillas meanders through the restaurant. There are several rooms available, both private and semi-private, with the opportunity to rent out large sections of Iron Cactus including the rooftop patio. If you’re worried about space, don’t – you can host a three level event for up to 500 guests with in-house catering. Dallas downtown scenery is impressive with the use of the Pegasus Plaza which has capacity for up to 2000 guests. Corporate clients, wedding receptions, or just a private get away for a small group is easy and we’ll take the worries away with professionally trained caterers and staff. And, you’ll never be bored with the menu. You’ll have access to special types of catering menus that will “wow” your guests with our signature Tequila Dinner, expertly created by our Chef. You and your guests can sample three ½ ounce glasses of premium tequila while participating in an interesting and informative presentation. Much of the menu is served with tequila infused specialties and two silver margaritas are included with dinner. Be sure to ask your Dallas catering consultant about the different options available or you can see a variety of catering menus here. You can book online or speak to one of our Dallas catering experts by calling (214) 748- 7482. If you’re not looking for in-house catering we’ve got off-site Dallas catering services as well. Summer is ending, which means the holidays are just around the corner. And that means it’s time to start planning your holiday parties! Whether it’s an office gathering, a family reunion or an engagement party, you won’t find a better place to offer Mexican food catering in Dallas than the Iron Cactus Mexican Grill & Margarita Bar. With all the particular elements that go into planning the perfect holiday gathering, why not leave the biggest chore to the pros? At Iron Cactus, we are happy to prepare mouthwatering dishes for your event. In addition, we can provide staff for service at your event and even get you linens, stoneware and flatware. That way all you have to take care of is eating an amazing meal. Mexican food catering in Dallas can vary in quality from restaurant to restaurant, but you can rest assured that the Iron Cactus will treat your event with the respect and importance it deserves. You will see that in every aspect of our service, from the professionalism of our staff to the quality of our dishes. Whether you request full-service catering or you simply want catering delivery, the Iron Cactus offers a magnitude of menu options that will allow you to find the perfect meal to present to your guests. Your menu options are only limited by your imagination. We have menus that involve tequila flights, tapas, breakfast options and so much more available for you. Just contact the experts on Mexican food catering in Dallas at Iron Cactus. We are available for your needs and to begin the catering process at your leisure. Just drop us a line at https://ironcactus.com/off-site-catering-request/, and let us start your event down the path to success! Don’t forget that holiday events start booking early, so don’t get left out in the cold without an option! Contact the Iron Cactus today! The catering experts at Iron Cactus are ready to jump into action to make sure your next catered event is a perfect event. The quality of Mexican food catering in Dallas certainly varies from restaurant to restaurant, but at Iron Cactus we stand by our reputation as one of the best options around. 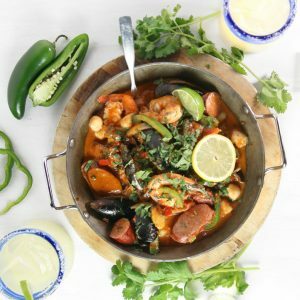 We’re known all over Texas for our unique flavor take on traditional Mexican meals made with contemporary flavors and sauces. Your guests will experience the finest dining that is above reproach! At Iron Cactus, we want to help you with your next event, whether it’s a birthday party, graduation party, corporate event, or wedding reception. No matter why you need Mexican food catering in Dallas, you can trust that our experts and servers are detail oriented, and will make your event unforgettable for both you and your guests. A great way to get the ball rolling is to contact our catering experts. 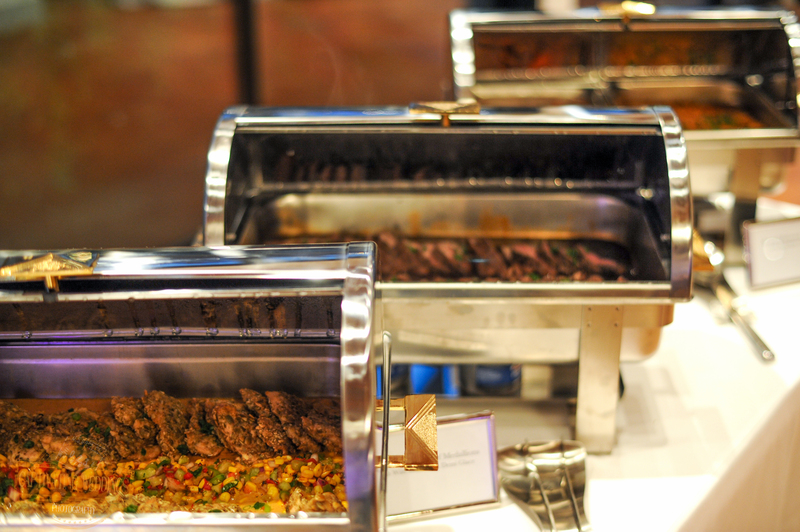 We will help you kick start the catering process by finding out a little bit about your needs. Let us know where and when your event is, how many guests you expect and we can walk you through what comes next. Not only can we provide any of our menu items for your event, but we can assemble special menus or even a meal with tequila tastings! Truly, the options are limitless for your catered event with Iron Cactus. Summer is one of the busiest seasons for catered events. Between wedding season, graduation and holiday parties, it is definitely advantageous to book your event early. So if you’re looking for the best Mexican food catering in Dallas, contact the experts at the Iron Cactus today. Let us take all the stress out of planning your next catered event and help to make it a rousing success. Again, contact our catering experts at https://ironcactus.com/off-site-catering-request/. In Dallas Mexican Restaurant, Dallas Catering, Dallas Mexican Restaurant News, Dallas Private Dining Rooms, Dallas Catering, Dallas Downtown Restaurants. Bookmark the permalink. You have an event in the works for your office, but you just don’t know who you should trust with your catering needs. We all know that reputations are made and broken based on the success of events just like this. So take this advice and trust your next catered event to be done right by the professionals from the Iron Cactus. When you’re seeking Mexican food catering near me, you should have no reservations about choosing the Iron Cactus. We have successfully catered thousands of events to splendid reviews and know that we can deliver for you as well. Start the process by clicking on our catering request form. Simply fill out the form therein to give us an idea what needs you have for your next event. You should know that Iron Cactus has worked with many off-site venues around the area and have been regularly recommended by these venues as a first-class catering option. So if you’re hearing wedding bells this season, there’s a good chance your wedding planner or wedding venue have had successful events with us! But you know that Mexican food catering near me isn’t just for those celebrating their nuptials. If you need great food for a party or office event, we’re thrilled to provide you with the same top shelf service that we offer all of our clients! We know that you have lots of options available to you in terms of Mexican food catering near me. We also know that here at the Iron Cactus, we will happily strive to defy even your highest expectations. Just give us the chance and click on our catering link and we’ll help you get the ball rolling. We’ll help you create the perfect menu, get your event staffed and take all the hard work out of the equation so that you can concentrate on throwing the most successful event! If you’d like more information about what we do, simply visit www.ironcactus.com for the details. In Dallas Mexican Restaurant, Dallas Catering, News, Dallas Catering. Bookmark the permalink. Here at the Iron Cactus, we know what’s on your mind when it comes to catering near me in Dallas. We know that you’re searching for a caterer that can not only supply a spectacular meal for your guests but will also do so with the style, care and professionalism that you deserve. And with the arrival of summer just around the corner, we know that you’re already busy searching for the perfect caterer for graduation parties, summer weddings and Fourth of July banquets. Keep reading to find out why Iron Cactus would be the perfect caterer for you. If you have decided that what your event needs is the best Mexican cuisine in town, you’ve definitely chosen the right caterer in the Iron Cactus. Our catered events can be customized with any item from our wide-ranging menu, whether it be a brunch event or more traditional dining options. Regardless of the choice, you will get a distinctly flavored, quality menu delivered straight to you for your event. We even offer an exciting tequila dinner for parties looking to sample some of the finest premium tequilas with a perfectly paired meal. When you choose the Iron Cactus for catering near me in Dallas, know confidently that we can provide almost anything you can think of for your event. From tables, chair and linens to glassware, flatware and China, the Iron Cactus has all the accoutrements needed to make your event a rousing success. In addition to dining services, we also offer bar service as well. When you come to Iron Cactus, we can take care of everything you need, including a champagne toast for the occasion! With Iron Cactus catering, you will also get service from a professional staff that wants to make certain your event is even more amazing than you’d hoped. We will happily staff your event with bartenders, servers and more who treat your event with the grace and care they would for their own family, so know that your catering near me in Dallas event is in the best of hands. 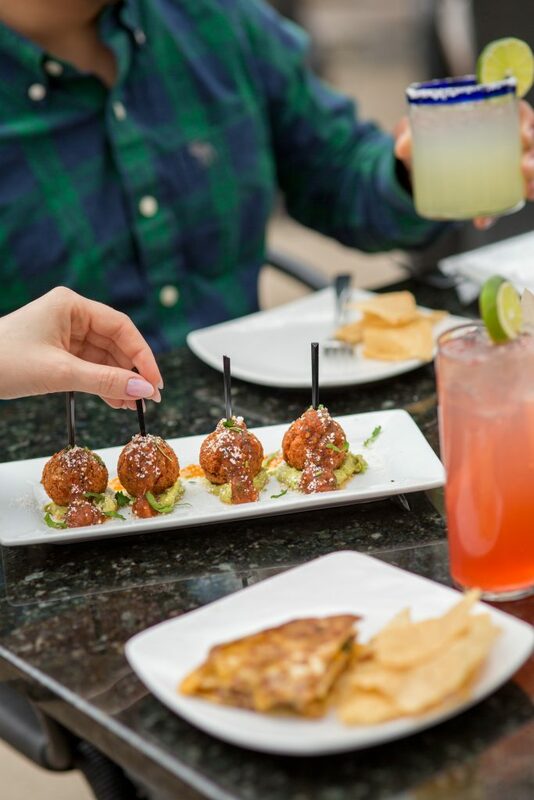 Get the ball rolling today and let us know how we can help make your summer event a success by contacting the Iron Cactus at https://ironcactus.com/mexican-food-catering-dallas/. If you happen to be planning a birthday, Easter or graduation party and need catering near me in Dallas, you’ll certainly do well to consider the Iron Cactus Mexican Grill & Margarita Bar. We would be thrilled to help you provide the perfect meal for your occasion! From planning to execution, the professional catering team from the Iron Cactus will be there to help you every step of the way. Let us start with the first step, scheduling your catering request. Start by clicking the link for our catering service, https://ironcactus.com/off-site-catering-request/. Here you will provide us with your contact info and a little bit of information about your event, like the number of guests you expect, the date you require catering near me in Dallas and the location of your event. From there, one of our catering professionals will contact you to fill in pertinent details like your menu options, plus linen, plating and flatware requirements, as well as staffing needs. Rest assured that we can provide any of your Iron Cactus favorites for your off-site party needs. Be sure to ask your catering consultant about the different options available or you can see a variety of catering menus. Then simply choose your favorite dishes or favorite menu and let us bring them to you hot and ready for your special event. With Iron Cactus catering, we will work hard to ensure that you have everything you need for all your catering near me in Dallas needs. We believe it is our duty to make your special event the best it can be, and to make sure it lives up to your lofty expectations. Get the ball rolling today on your catering event, by contacting the Iron Cactus at https://ironcactus.com/off-site-catering-request/, or give us a call at 214-749-4766 and let us start prep on your next amazing event! In Dallas Catering, Dallas Catering. Bookmark the permalink.